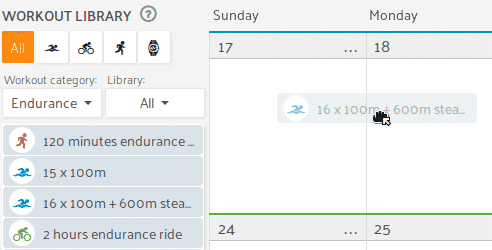 The calendar view offers all information relevant for the creation of a training plan at a glance – available training times, units and statistical summaries of past weeks and whether the athlete is in a training/recovery/tapering week. You can copy last week’s plan with 2 clicks into the next week and adapt the units, or generate a new plan by drag-and-dropping units from your workout library. Creating a training plan has never been easier and quicker! Simply drag-and-drop units from the library into the calendar of the athlete (or multiple athletes at once). The units can of course be further refined before publishing/exposing them to the athletes. The library is pre-populated with PerfectPace units and can be easily extended by your own, e.g., by dragging units from the calendar into the library. Create training plans which fit into the work/private life of your athletes. Athletes have the option to enter their available training times for a default week and to adapt them for individual weeks. 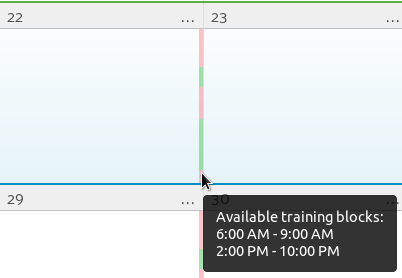 The available training times are displayed directly in your calendar. The mesoplan generator makes the periodization of training and recovery weeks a matter of seconds, including tapering weeks before competitions. In case the whole plan changes, e.g., due to an injury, it can be quickly regenerated with a new start date. Variables in the description text allow for automatic and simple personalization of your units. 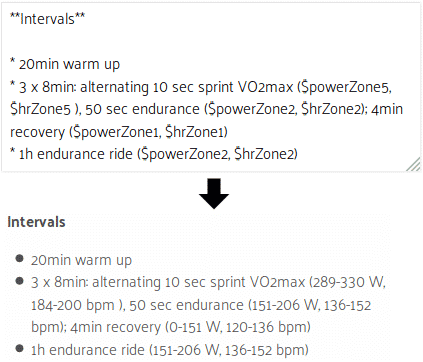 The variables are replaced by the athlete’s current values, so that your guidelines are self-explanatory and automatically adapt to the athlete’s performance level. 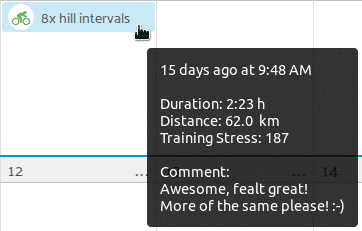 Your athletes can comment on each executed training unit and add a comment for a week’s available training times. Notifications make sure you don’t miss any feedback. 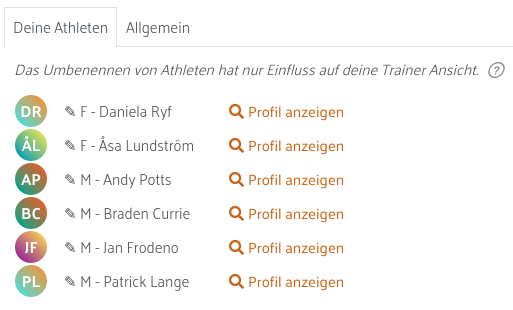 In order to keep the overview in case of a larger number of athletes, you can rename the athletes to your liking; e.g., grouping the athletes into performance groups by adding an appropriate prefix. You also have access to the individual athlete profiles and can add or adjust key figures.